Did Kourtney go too far? 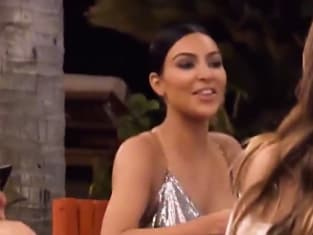 That was revealed on Keeping Up with the Kardashians Season 14 Episode 2 when she went on a girls trip to Mexico for her birthday, and he had to spend time without her. In the process, Kourtney also revealed to her friends that Scott was cheating on her at every opportunity. Meanwhile, Kim found unflattering images of herself on the internet from the trip and she got mad about it. Use the video above to watch Keeping Up with the Kardashians online right here via TV Fanatic. Get caught up on the latest twists for TV's most famous family.